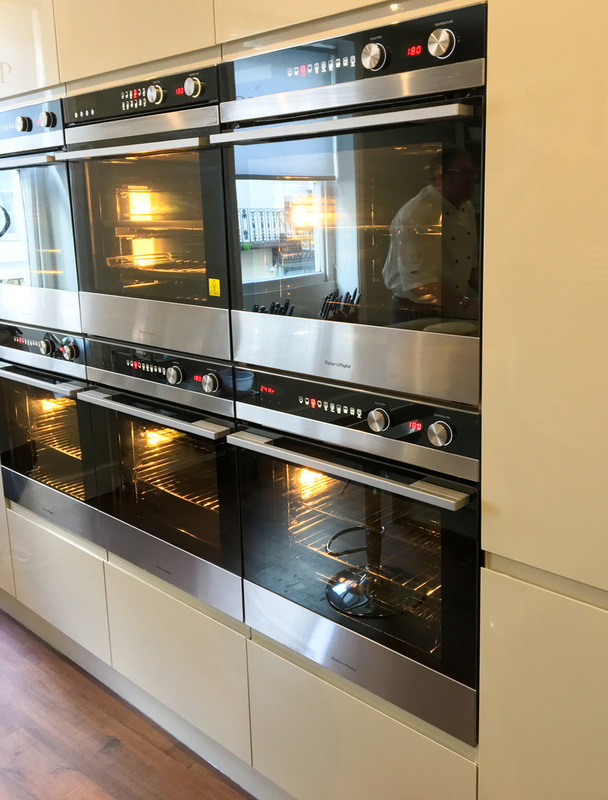 Cookmate Cookery School in Worcester, UK has officially opened! 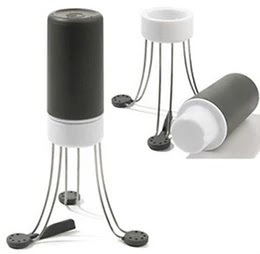 The school is above the well known Cookmate shop in Broad Street that sells cooking essentials and luxury kitchen equipment. 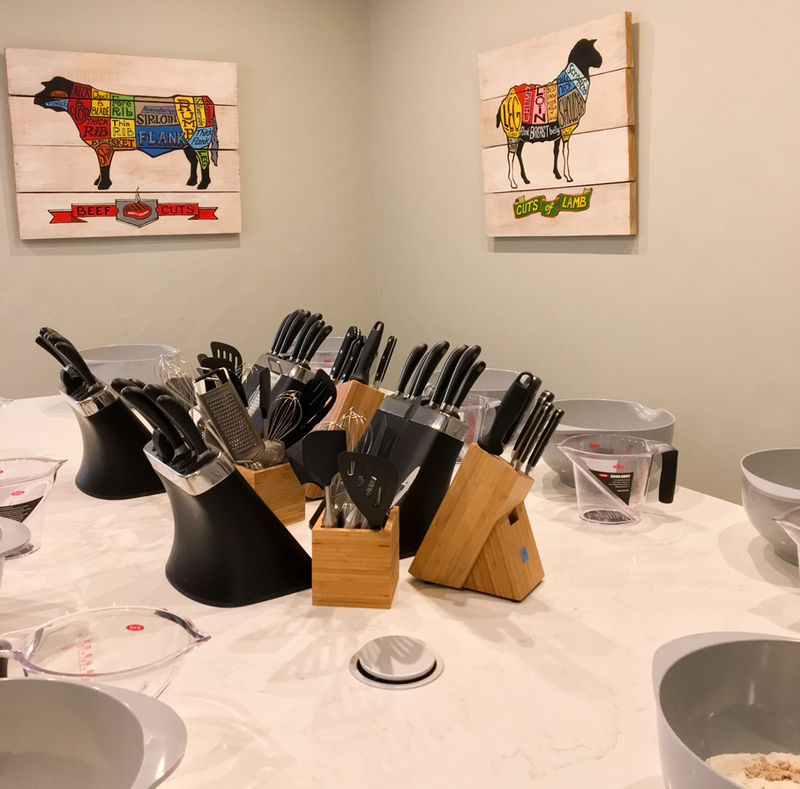 Owners Caroline and Andrew Gregory have recently converted the upstairs storage space into an absolutely fantastic school for food enthusiasts. 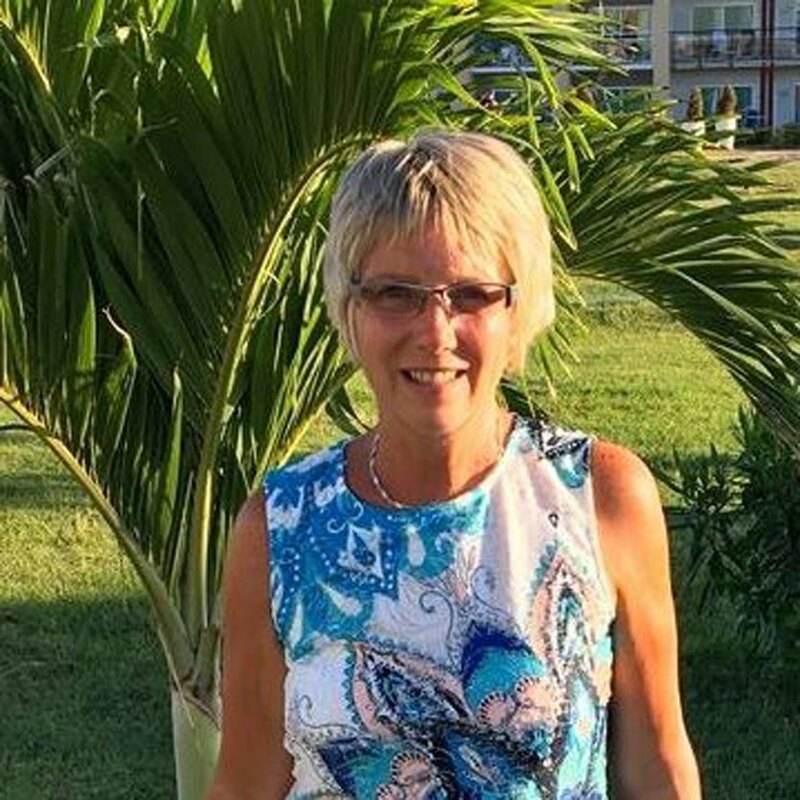 With the help of Pam Ballone and Gill Barnett I honestly don't think they could have designed the interior any better, it's very well thought out and is kitted out with all the latest kitchen gadgets and top quality knives etc - which are also available to buy in the Cookmate shop downstairs. Love these informative pictures on the wall. 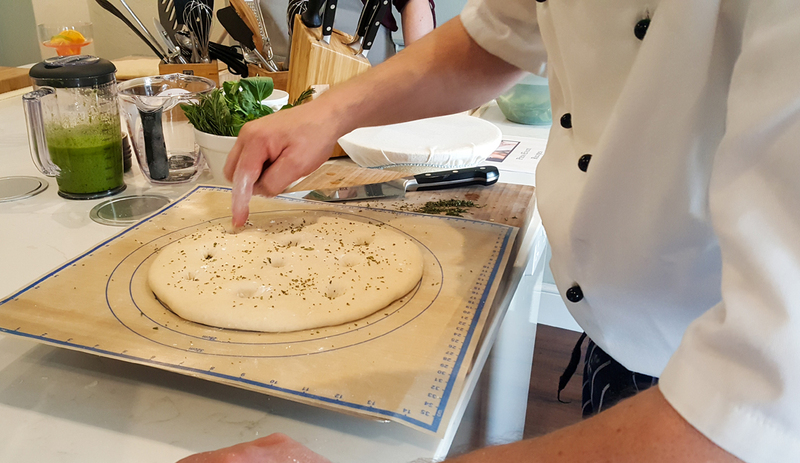 The Cookmate Cookery School is all about having fun cooking and there are many courses are available to book including Knife Skills, Dinner Party, Bread, Cake Making, Asian, Indian, Italian and more. 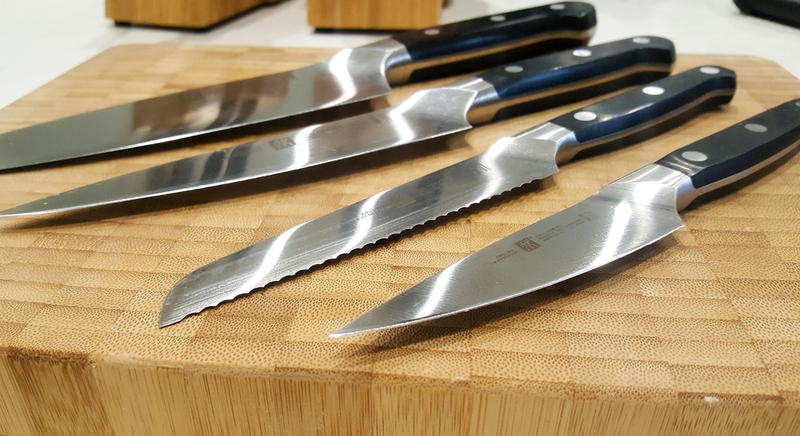 Each cookery course can be booked online and the prices are very reasonable. 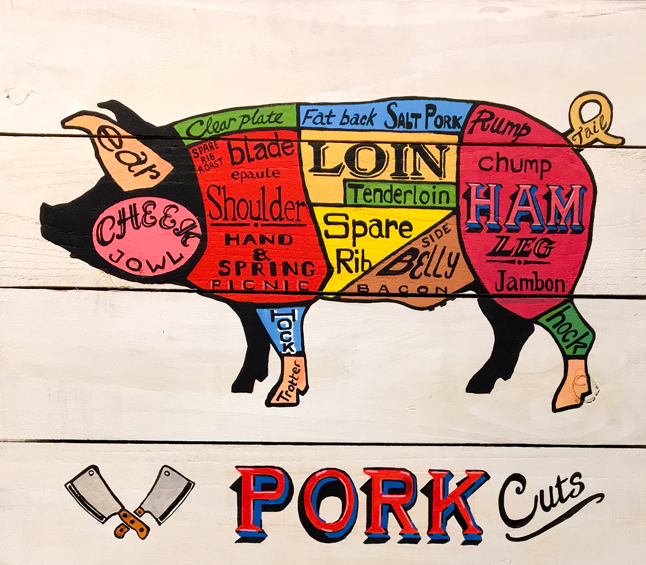 It's an opportunity to learn new skills and you're guaranteed a memorable day out complimented with delicious food that you created yourself. 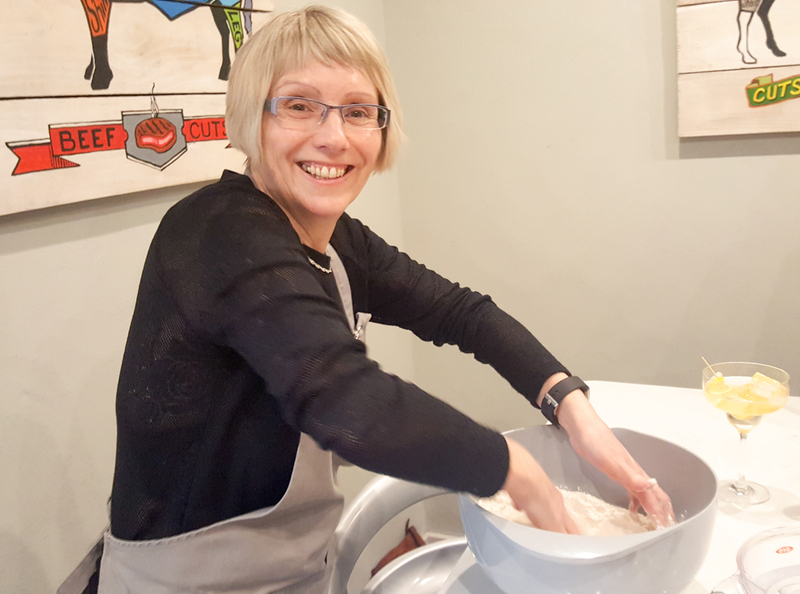 There's even a 'Free From' course where you can learn new recipes for anyone that follows a gluten free diet and a Vegetarian and Vegan course which I think are both going to be very popular. 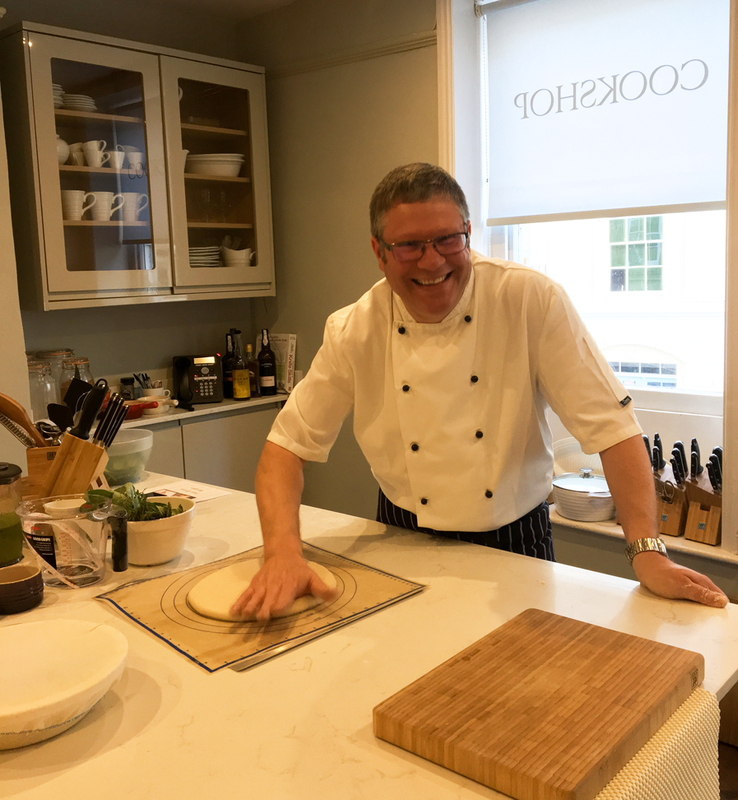 I was lucky to be invited along as part of a group for the official launch of the Cookery School and we all had a brilliant day. 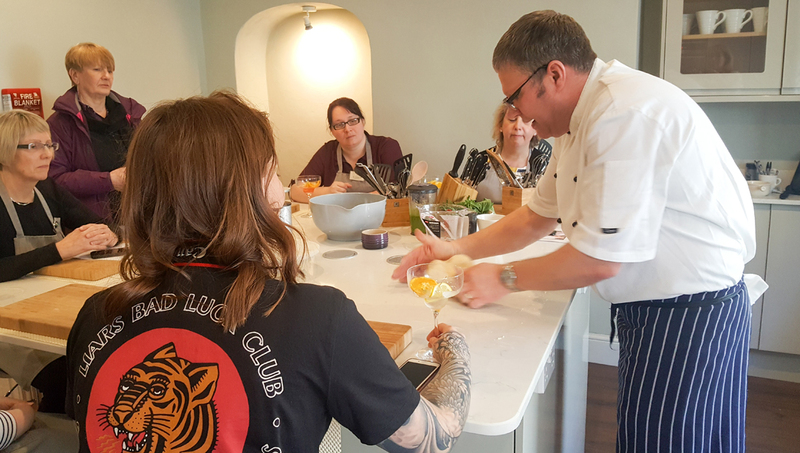 Chef Paul Bough is one of 6 chefs at the Cookery School, he's such an interesting person to listen to and of course he's very knowledgeable. He certainly made us all feel at ease and nothing was too much trouble for him to explain. We might all look a bit serious in this picture but we were all listening to Paul and watching him make Sea Salt and Focaccia Bread knowing we were all going to have a go at making our own! So now it was our turn to get making our dough. 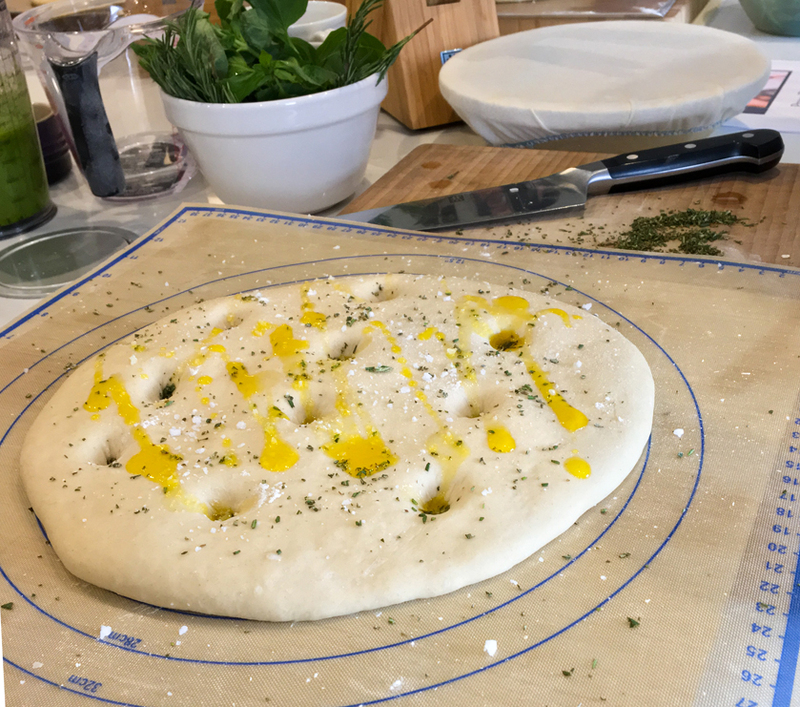 Well I'm certainly no baker but I really learnt a lot that day and thanks to Paul; it's the only time I've ever managed to shape dough into a pretty perfect circle 😊 and so I felt quite pleased with myself! Into the oven and then about 30 minutes later - voila! 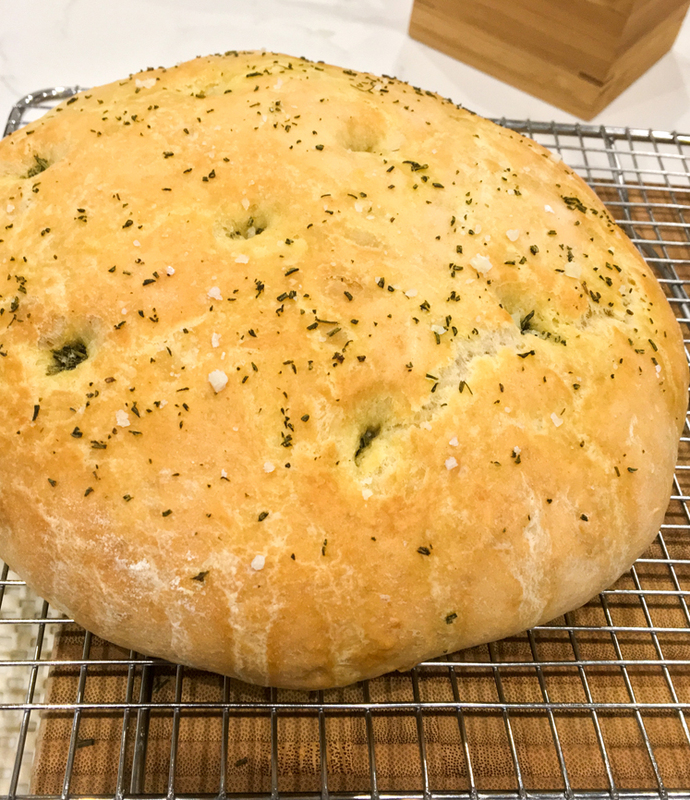 Perfectly baked Rosemary and Sea Salt Focaccia. 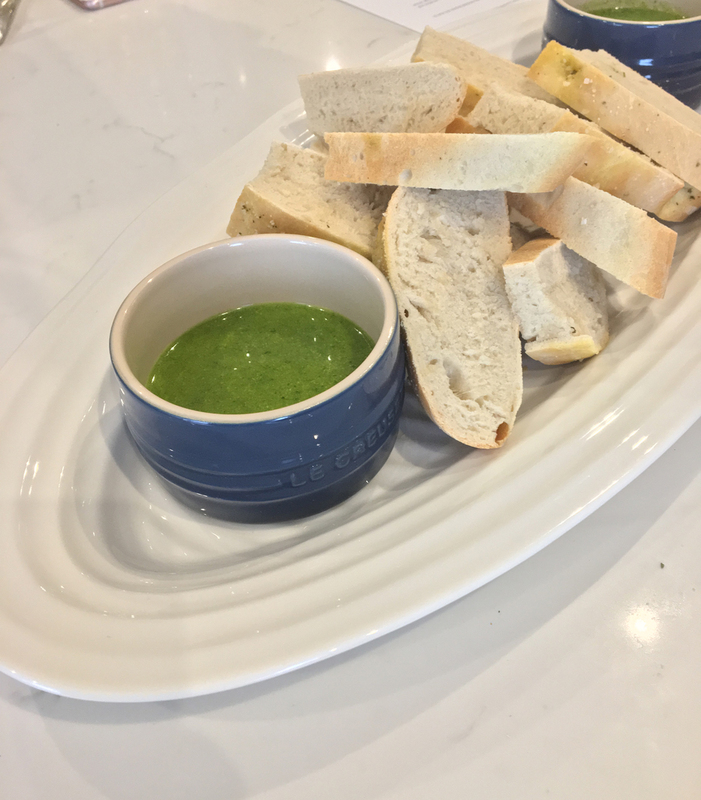 To go with our Focaccia Paul made a delicious Rocket and Watercress Pesto which we all had a taste of before it was served as a dip with the bread. 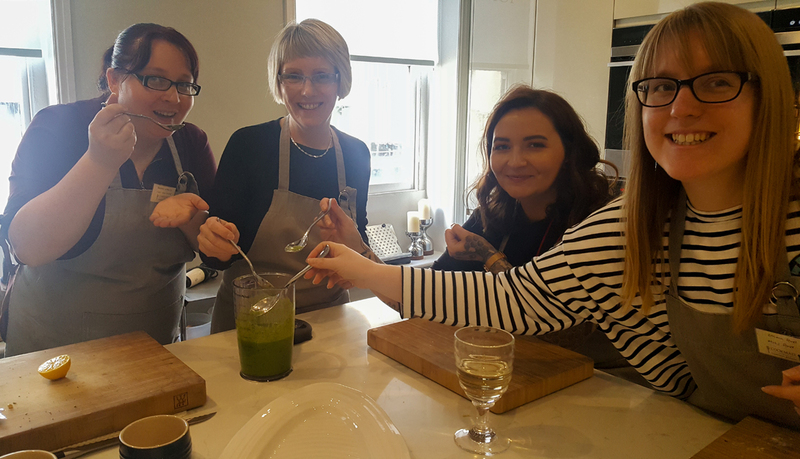 So give the Cookmate Cookery School a go, you'll not only learn a lot and have a great time but you'll also be supporting a local business. 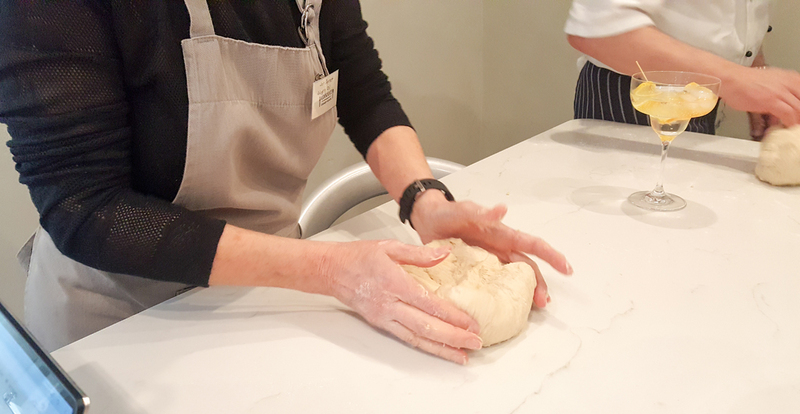 Cooking is a lot of fun so if you're not confident in the kitchen the cookery school is a great place to start. 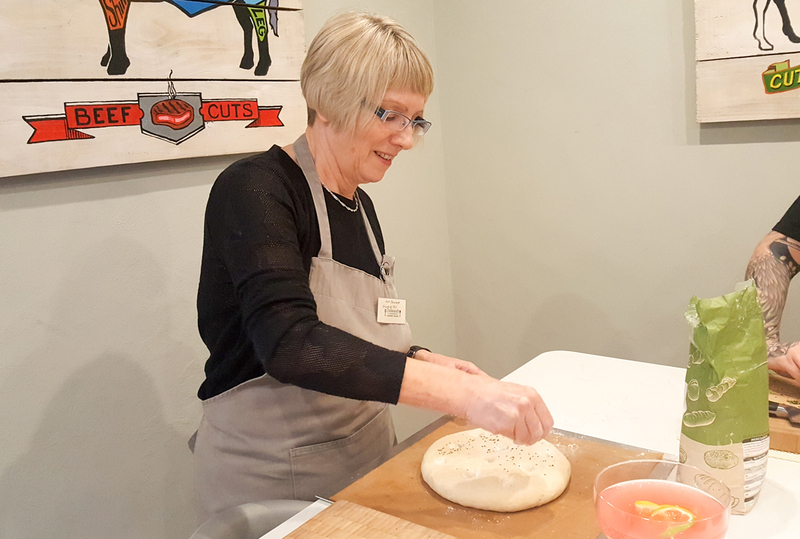 There's such a friendly atmosphere and personally I certainly wouldn't feel uncomfortable going there on my own and any of the cookery classes would be a great way of meet like minded people. Disclosure: I had a great day at the Cookmate Cookery School; all thoughts an opinions are my own. I was not required to write anything positive.